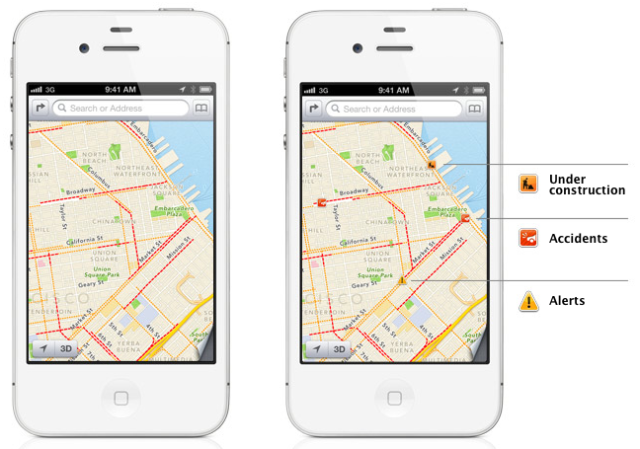 Rumours having been flying around for a while that Apple would be ditching Google Maps in iOS. Today those rumours were confirmed. 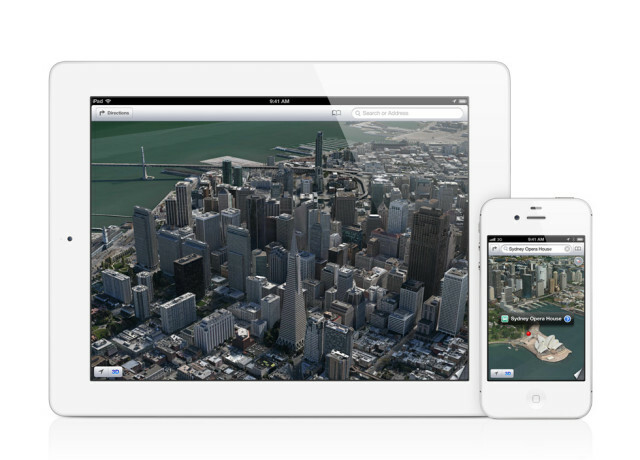 At the WWDC 2012 opening keynote today, iOS 6 was announced and it will have an all new Maps app on board. It is completely re-designed and built from the ground up, by Apple. Maps will now feature turn by turn navigation, which has been desired by many iOS users for a while. Traffic data will be enhanced by anonymous data, transmitted from millions of iOS devices all over the world. Maps has a new “Flyover” feature, which allows the user to see fully rendered, 3D images of metro locations, when you zoom in close enough. Maps has all new vector based graphics that allow you to zoom in and out, smoothly without losing clarity of streets and their names. You can rotate and tilt the maps to explore an area and everything stays nice and crisp. Turn-by-turn spoken directions finally makes it’s way into the native Maps app. Previously, you would have had to buy expensive 3rd party apps to get this feature. Now the voice of Siri will guide you to your destination, alerting you to upcoming turns. The app switches to a 3D mode and dynamically turns the camera view, when approaching an intersection, so you get a better feel for where you are so you don’t miss your turn. If you do miss your turn, the app wil automatically re-route you. Maps reports traffic in real time, and will tell you the cause of any slow downs. If will even offer you an alternative route, if it feels you could reach you destination quicker another way. Flyover shows you 3D photo-realistic views of some major cities. Much better than “Satellite” mode from the previous Maps app, these are high resolution renders that you can zoom, tilt, and pan around, as if you were in a plane, flying over the city. You can also use Siri to help you get where you’re going. Invoke Siri, ask her for directions, and she’ll get you where you need to go using the new Maps app. With Local search, Siri and the new Maps app can find pretty much any destination you are looking for. iOS 6 launches this fall, but the first beta has already been released to developers. 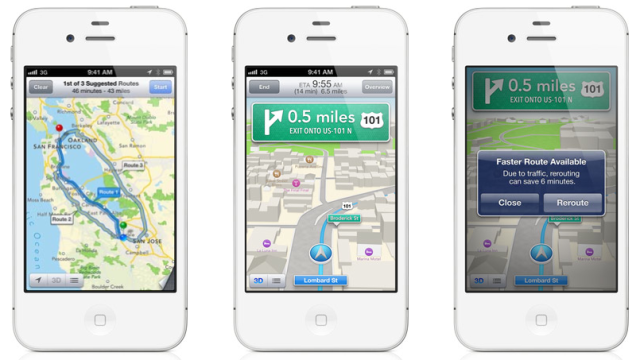 I’m sure we will hear much more about the new Maps ans iOS 6 throughout the day and the months to come.